Advancements in technology have led to the rise of the eCommerce sector as a crucial component of the retail industry. With more people having access to the Internet, marketing an eCommerce business has become both essential and challenging. Essential because it is the primary channel through which your business can access potential customers, and challenging because the competition within this space is steadily growing. One of the most effective marketing channels that exists for eCommerce businesses is email marketing. Over the past few years, I've seen article after article predicting the inevitable demise of email marketing. Yet year after year, email marketing continues to be a key tool in any marketer's kit. Despite what naysayers might say or write to get clicks, email marketing is here to stay. Email marketing is especially helpful for eCommerce retailers. It creates a communication channel that allows for personal interaction and conversations with customers. No time to read the full post now? Get a copy of the guide for later. Email is also one of the most effective channels for generating leads and nurturing them into customers who will make large and timely purchases. In this guide, I'm going to go through 6 ways you can supercharge your eCommerce email marketing strategy. To fuel your ecommerce email marketing strategy, you need tools to build a quality email list. With an email list, you can create a communication channel with your potential leads. 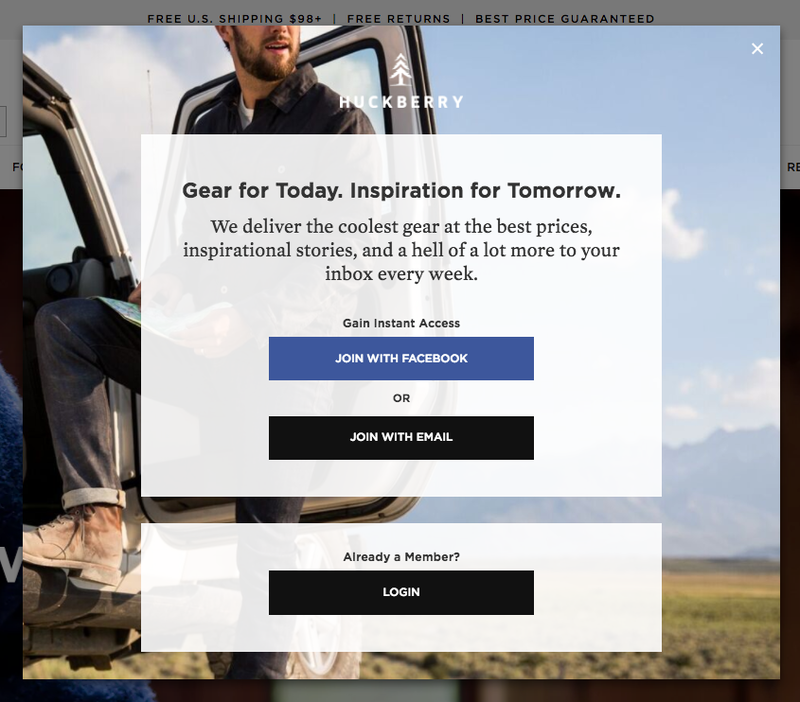 You can also design targeted and attractive messages to your audience, which will turn passive visitors into active leads for nurturing into buyers. Here are strategies you can implement to begin the process of building a quality email list. A lead magnet is some form of giveaway that you can offer to your potential leads to get them to subscribe to your list. It can be an ebook, webinar, coupon, etc. Entice visitors to subscribe to your list using lead magnets. You can use tools like HubSpot Marketing Free and Optinmonster to create lead magnets for your website that tie in with your email marketing program. Put your email signature to work. 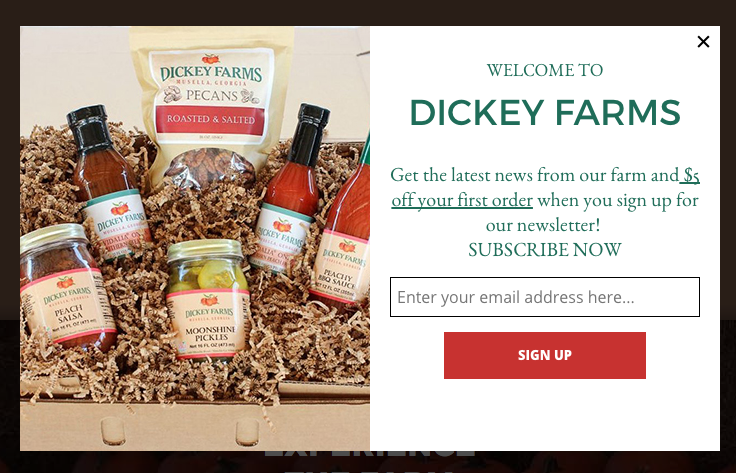 Embed subscription links into these banners that your potential leads can click on and be redirected to your landing pages. Here's an example with my email signature. At the botton I have a call-to-action to download one of our eBooks. You setup a custom signature like this with Wisestamp. Market your content on other popular sites in order to attract visitors that can be redirected to your landing pages and subscribe to your email list. You can use retargeting tools on Adroll to get your content on relevant websites and funnel traffic back to your site. Another important component of your email marketing strategy is to delight your new customers, attract their interest, and turn them into repeat customers for your business. Email is one of the most effective ways of making new customers feel welcomed and appreciated. By sending welcome emails, customers are drawn further into your business, get a positive first impression, and connect with your brand. But how can you send effective welcome emails that will turn them into repeat customers? Decide on a key message that you want to communicate with your customers. It could be informing them more about your brand, offering discounts, or offering a lead magnet. Use email-marketing tools to set up email workflows. The software will automatically trigger emails to be sent out according to the actions of the customer and the rules you have set. We use HubSpot, but there are other options out there. 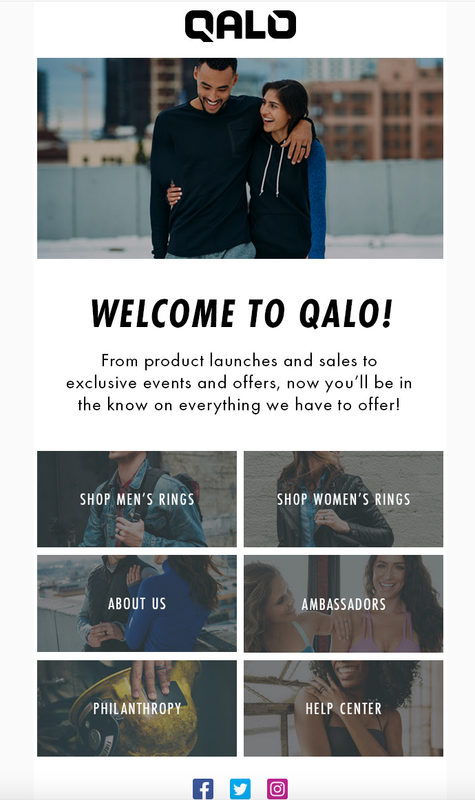 Here's an example of a great welcome email from Qalo. It's simple, image-rich and mobile friendly. Statistics show that 60% of customers who place items in their cart end up abandoning them before they complete checkout. This can prove quite costly for your eCommerce business. The good news is that email marketing can reduce the occurrence of abandoned carts and can get 5% or more of your lost purchases recovered. There are helpful strategies you can implement to create effective and specific abandoned cart emails that will make your customers reconsider. Specify the items that the customer placed in their cart, and add a discount to entice the customer to complete their purchase. Being specific with the items makes the customer feel appreciated. Be personal in the email by addressing your customers by name, thanking them for their interest, and emphasizing the value of your brand. Recommend related items can also spark customer interest. It could be that the customer wasn’t quite interested in the initial product, but will love your recommendations. For Shopify: natively available in some plans. HubSpot offers a native Shopify integration to create abandoned cart emails. Revenue Conduit has integrations with all the major eCommerce shopping carts and marketing automation tools. 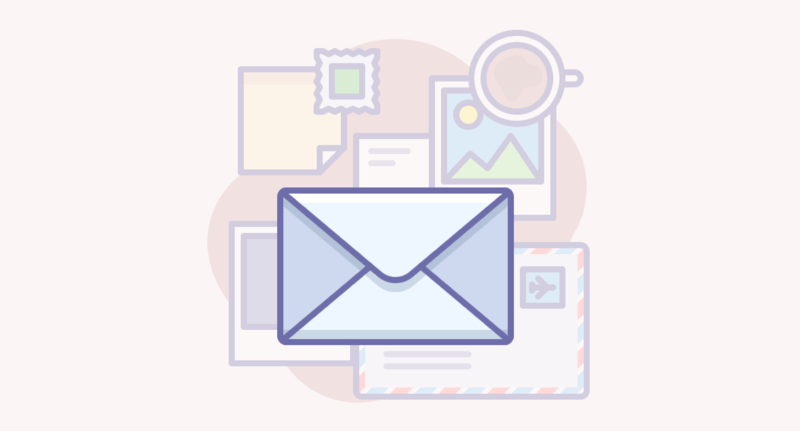 One of the most important steps you can take towards building a personal connection with your customers is to create quality, curated content within your emails. Content curation basically refers to finding content and information that your customers are interested in, and connecting them to it. When you create content that is relevant to your potential leads and addresses their pain points, they will develop trust in your brand and constantly return to you for solutions to their problems. This will allow you to appeal on a more personal level with them and to turn them into loyal customers. Understand the interests and pain points of your customers in order to curate the right type of content for them. Mix your original and curated content to create an outstanding final product. You can incorporate the unique insights and expertise of curated content into your own original material to add a touch of personalization for your customers. Link the content in your emails to other sites with similar and relevant content for your customers. With marketers becoming more strapped for time, automation has stepped in to allow eCommerce marketing to become more efficient, targeted, and effective. Automating your emails can ensure that customers receive your messages at the right time and in the right format. Categorize your email recipients into groups based on their interactions with your products. Develop a lead scoring mechanism to assign relevant scores to potential leads. Use email-marketing tools to design automated workflows that will trigger emails to be sent out according to the actions of the customer. Design your emails to contain information that is relevant to customers at every stage of the buying cycle. While email marketing is in itself effective, extending your email marketing strategy to include social media platforms can further increase the results of your marketing strategy. This integration extends the outreach of your emails, keeps better track of your marketing campaigns, and provides opportunities for the growth of your business through increased outreach and awareness. Include links to your social media platforms within your emails. Encourage your email subscribers to share your content and to connect with you on social media. Provide an incentive in return, such as discounts and promotions. Create a hashtag for your brand for your social media followers to use. Convert your social media following into email subscribers by creating relevant posts with links to your email sign up pages. Create an email marketing campaign that is dedicated to a particular social media platform. For example, if you’re enticing customers to sign up for your latest webinar, include a link that makes them have to sign up for it on Facebook. This compels them to be redirected to your social media pages. Adding chat to your website adds an extra level of customer service. Your customers will be happy to have their questions answered quickly. You can also use chatbots to setup automated responses for common questions. Sure, email marketing is important, but it should not be the only component of your marketing strategy. A healthy eCommerce strategy involves a mix of SEO, optimized website content, social media promotion, paid advertising, email marketing and more. If you are looking for guidance for your eCommerce strategy, request a free assessment here.